Near-diproid mouse embryonic cell line. alpha-MEM with 10% FCS, HEPES(20mM), penicillin(100U/ml), Streptomycin(100ug/ml). Development, beam characterization and chromosomal effectiveness of X-rays of RBC characteristic X-ray generator. Induction of chromosome aberrations by monochromatic X-rays with resonance energy of phosphorus K-shell absorption edge. Changes of DNA methylation in protooncogenes in the process of radiation-induced transformation of mouse m5S/1M cells in vitro. 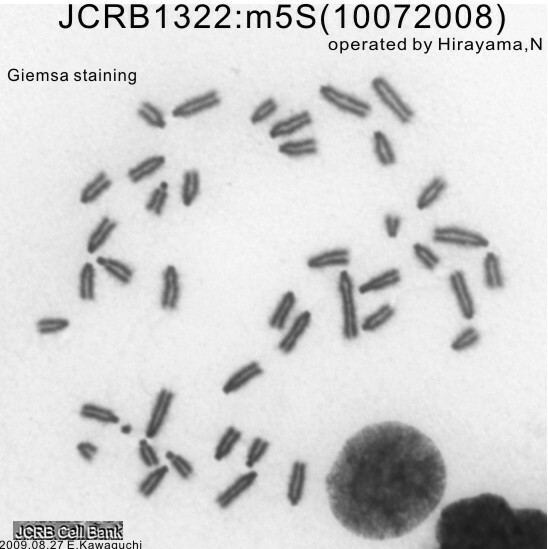 Appearance and evolution of the specific chromosomal rearrangements associated with malignant transformation of mouse m5S cells. Neural cell adhesion molecule mediates contact-dependent inhibition of growth of near-diploid mouse fibroblast cell line m5S/1M. Mitogenic response of near-diploid mouse cell line m5S/1M induced by epidermal growth factor. 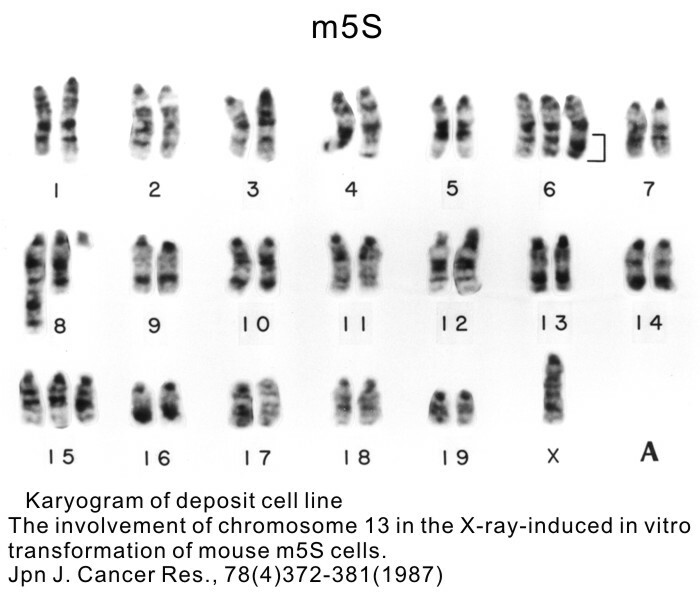 The involvement of chromosome 13 in the X-ray-induced in vitro transformation of mouse m5S cells. Establishment and some mutational characteristics of 3T3-like near-diploid mouse cell line. Integration of v-rasH does not necessarily transform an immortalized murine cell line. 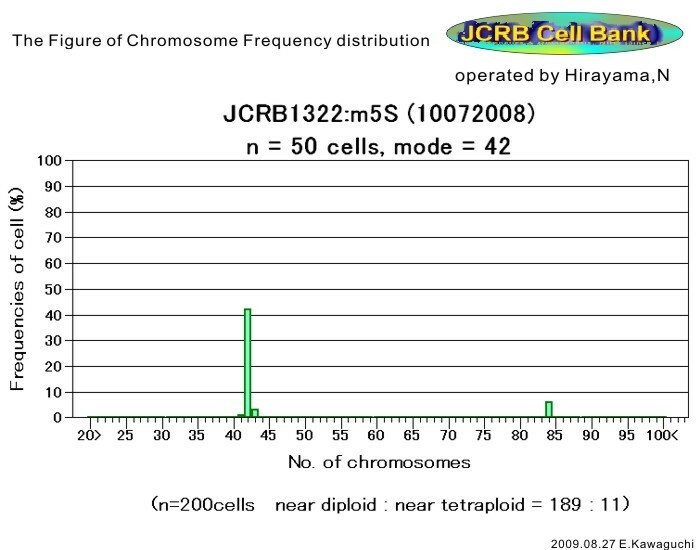 Cells were harvested after treatment with 0.25% trypsin and 0.02% EDTA.Split ratio (about 1/10).